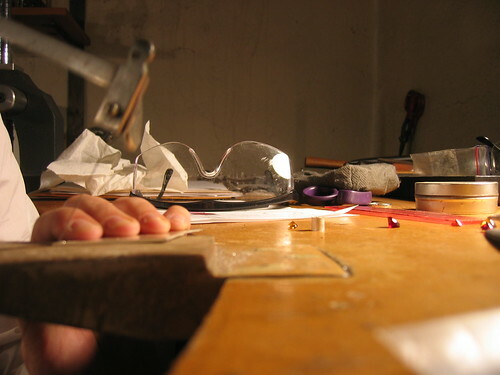 here's me sawing a piece of a bezel in class. you can see my garnet chillin on the table. You tool like no other. Let's see what you are making.